We all enjoy a good cup of coffee after Sunday service. 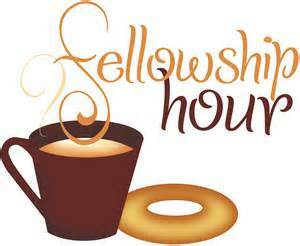 The purpose of the hour after our worship service is to encourage fellowship and camaraderie, make new friends and bond with old friends toward a common purpose. To that end, we are going to try something new during “fellowship” hour. Beginning this Sunday, we would like to ask that any business-related matters will be taken into the Library for discussion. Tables will be set up in the rest of the Parish Hall for the purpose of promoting conversations, one-on-one with friends, and discussions in small groups. Our hope is to make this fellowship hour more fellowship-related than business-related and more welcoming to visitors to FP and to explorers. Let’s cultivate a culture for relaxing conversation catching up with old and new friends, and getting to know those visitors who might be interested in joining our UU community.